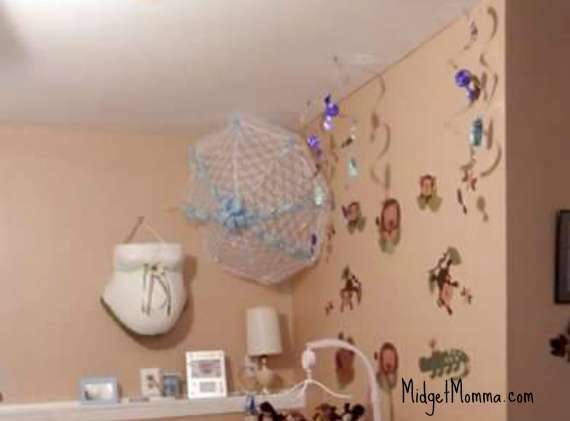 You can certainly find ways to make a nursery comfortable and cozy without running into a huge amount of debt to do so. Of course when we found out we are pregnant the emtions are all over the place and then the thought of the nursery hits. What are we going to decorate it with? How are we going to pay for it? And WOW! When looking at what some of the prices are on certain baby items! With the following simple tips you can know how to decorate a nursery on a budget. First step in decorating a nursery on a budget is to make a list of the items you are wanting to buy and mark them as new or used on the list for what they can be. Then watch for the sales for the items you do not have so you are not spending a fortune on them. Also look online in the facebook yardsale groups for people selling used items like rocking chairs. Give the room a fresh coat of paint and use some wooden letter templates that you got from the craft store to outline letters on the wall. Once you have the outline done, you can simply paint them in with baby friendly colored paint. Afterwards the stencils can be painted and displayed on a bookshelf or dresser. Add an accent wall! Paint is very inexpensive and makes a HUGE impact! Paint 3 walls 1 color and 1 a different color. 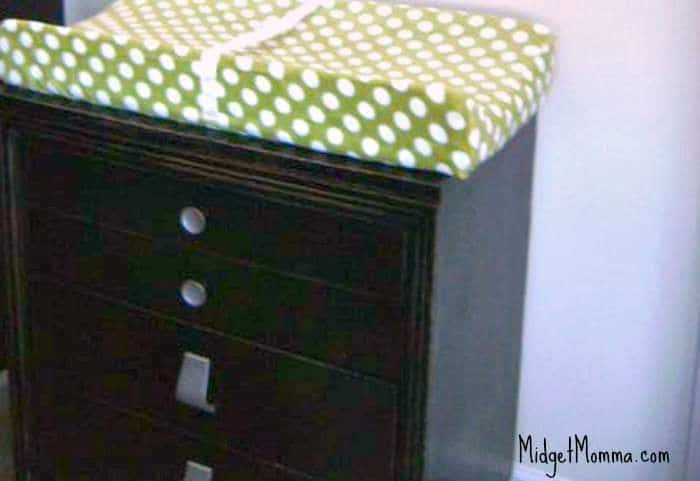 You can easily add stripes using frog tape and different colored paint and have a beautiful room on the cheap! 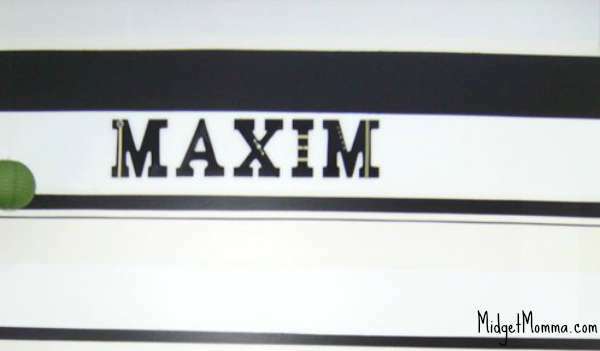 Spray letters of name any color to match the room and add simple and inexpensive embellishments such as ribbon and buttons to add colors of room and character. 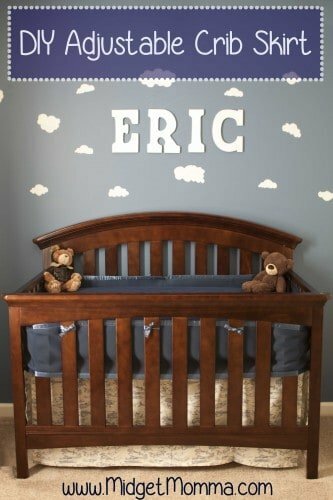 You can use this nursery room Painted DIY Name tutorial on how to do it and decorate your letters. 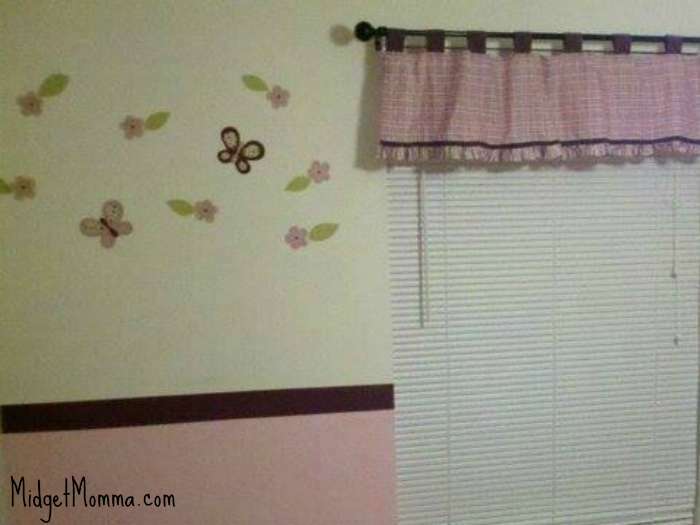 Make an adjustable crib skirt to match the colors of the room. You do not have to be super crafty and a sewing magician to make this one which is another awesome thing about it and you can have the crib skirt be exactly what you are imagining. Use a low dresser as a changing table and remove changing pad once baby is older. Refinish old furniture. Trash picking and the goodwill store are awesome places to find sturdy furniture like dressers and changing tables and while the color might not be what you are looking for a little bit of chalkpaint and some distressing will make the piece look amazing! 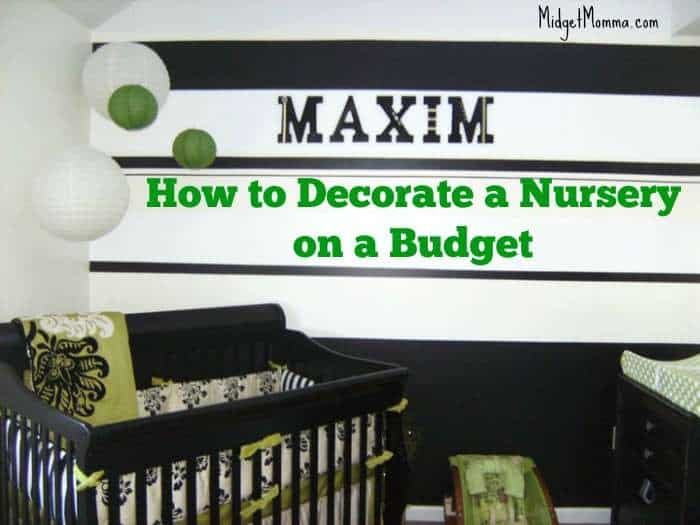 There are many things you can do when you are decorating a Nursery on a budget and the walls and what you hang on them can have a huge impact! A DIY Fabric Pennant Banner is a super easy option, you get to pick the colors and easily make it have the exact colors that you want. Hang your own artwork on the walls to make the room more comforting and inviting. Paint a canvas in white and add splatters of paint colors to add accent to the room. Display heirlooms about the room. Pictures, knick-knacks, and trinkets will give the baby something to look at when he or she is relaxing in their rooms. Your Belly cast if you did one is a great one to hang on the wall! Add some decals to the room. This will help to stimulate the child. When they have outgrown the need for animal decals, all you have to do is peel to remove. Then add decals that are more age appropriate. Paper lanterns . These were used at a baby shower and doubled as decor for the nursery. 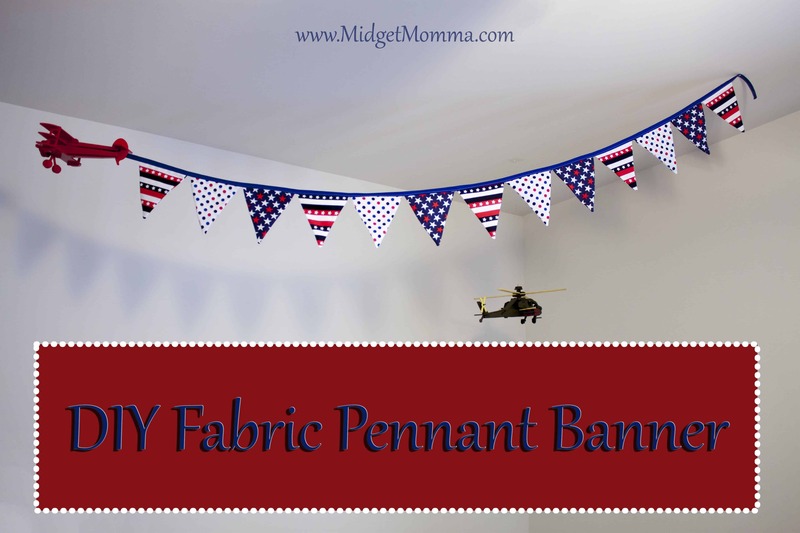 They are very inexpensive and come in arrayed colors! But you can buy them and they are cheap and add them to your nursery decor to match the room. Add some soft plush toys to the bookcase and dresser. When you are in the room with the baby, you can give them the plush toy to play with. Remember to remove the toy from the crib before you leave the room. 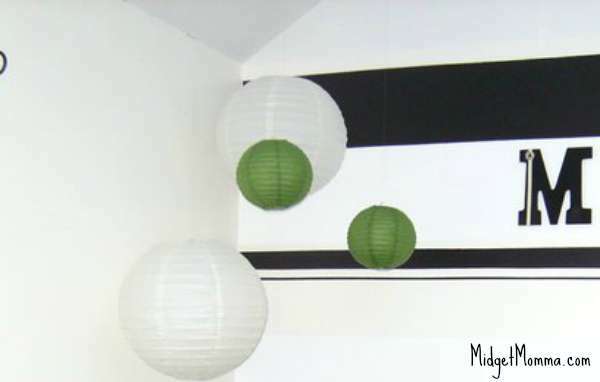 Dress up that old light by adding some paint and a new lampshade will surely give that light a completely new sparkle. Improvise with items that you may already have in your home are easy ways to get started decorating your nursery on a budget. Make it personal and about baby. 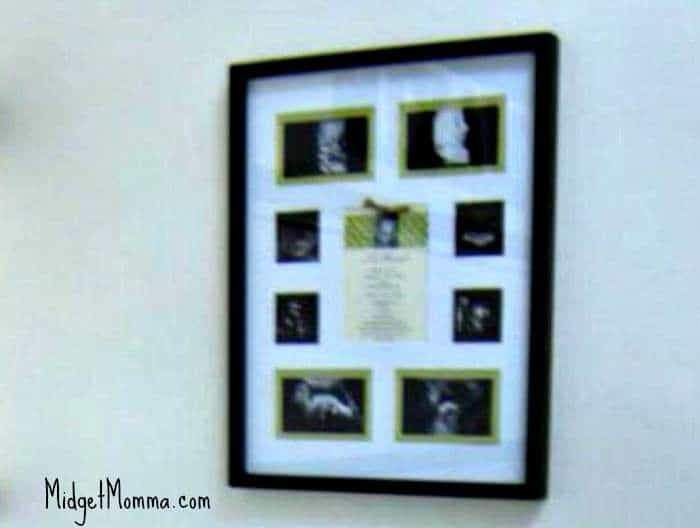 Frame a baby shower invitation and sonogram photos for more decoration, easy to do using a frame. 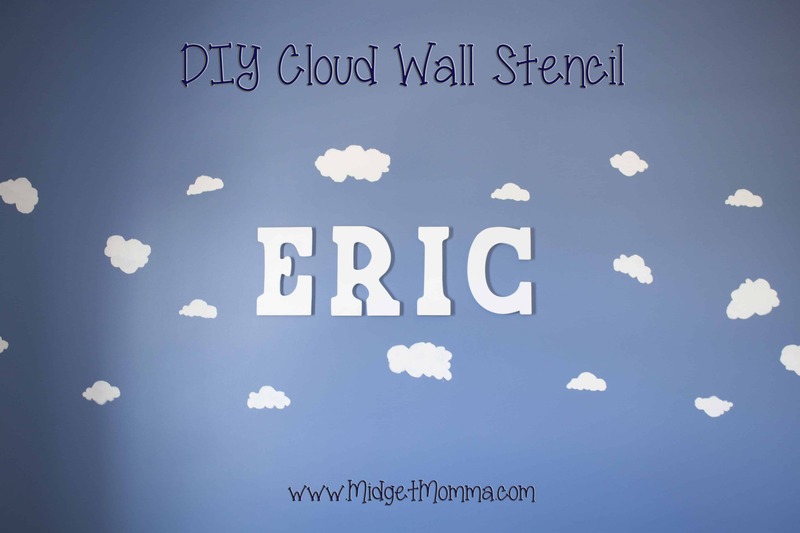 You can also use this DIY Cloud stencil to add clouds on the wall with ease. The above tips are just a few ways that you can decorate a nursery on a budget. There is no reason to spend a whole lot of money on your nursery purchases, as they will soon outgrow the room decorations as well as the furniture. If you plan on having more kids after this one save everything so you can use it again. You can make it a main gender neutral color with accents in the colors you want to and reuse the bedding and furnishing for your next baby. Great tips! If you can paint it’s a great iidea to paint something as a decoration on the walls. If not you can always use templates and make funny signs or a tree with birds on it (simple idea that works for everyone).